Home / Blog / Pest of the Month: The Field Mouse. Making His Way To A Home Near You. Pest of the Month: The Field Mouse. Making His Way To A Home Near You. The field mouse is where our story began. When this tiny brown mouse scurried over our CEO’s leg, he inspired an idea that has changed the pest control industry. Kari Warberg Block knew there had to be a safer way to get rid of mice than the traps or poisons that were old standbys. When she couldn’t find what she needed, she invented it. What is a field mouse? The field mouse is best known for causing problems on the farm. Rodents make themselves a nuisance wherever they are, and they can live in many places. Field mice are most common in rural areas such as forests, prairies, and agricultural settings, but can also be found in urban or suburban communities if there are woods or natural buffer zones nearby. They are much more likely to be a problem in places that are not frequently used by people, like barns and other farm buildings or seasonal cabins. These little rodents have light brown fur on their backs and white legs, feet and undersides. They are most active around dusk and dawn and favor eating seeds. They’ll also eat other things like fruit, fungus, and insects. Field mice have a habit of creating caches, or stores of food, particularly during the fall months when tree seeds and nuts are abundant. Bird feeders and garden seeds also serve as a reliable food source for mice, drawing them right into your own backyard. Mice seek shelter during unfavorable weather, like the cold winter months that are right around the corner. 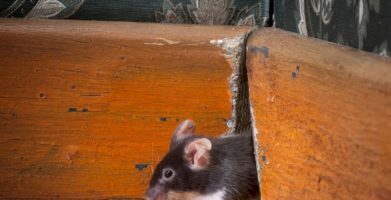 If field mice find their way into your home, they will often nest in an undisturbed area like the attic — making them hard to detect until they’ve already done extensive damage. A little mouse is a big problem. You might wonder, how a little mouse could be such a problem. After all, the field mouse (or the “deer mouse” as he’s often referred to in scientific literature) is only about 4 inches long, and weighs less than one ounce. 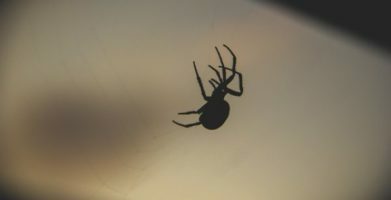 But in places where these little pests are present — primarily homes and buildings near fields and in rural areas — they can infiltrate almost anywhere they like. Their small size makes it easy for them to squeeze through the tiniest of openings. Once they find their way inside, they’ll make themselves at home. Field mice like building cup shaped nests out of any soft material they can find. Things like grasses, feathers, shredded paper from that old phone book you forgot about, or padding from the seat cushions of stored farm equipment are great for nesting. Despite their small stature, mice can rack up hugely expensive repair bills. The damage they cause to farm equipment and personal property costs hundreds and even thousands of dollars. They are also known transmitters of diseases like Hantavirus and Lyme disease. You don’t have to touch a mouse, or even see it to get sick. You can become ill just by being in the same place a mouse has been. Germs can be spread by simply breathing in the air anywhere mice have made their messes. Prevent damage and disease with botanical rodent repellent. Compared to their small size, their big ears and big eyes are almost kind of cute, but you definitely don’t want these mice spreading their germs around your stomping grounds! Because they prefer places you may not visit frequently — like stored farm equipment or summer cabins left empty during cold weather months — methods of mouse control like traps or poison can be ineffective. 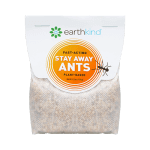 These products work by attracting mice to them, and that is the exact opposite of what you want if you’re trying to get rid of mice. Not to mention the risks of accidental poisoning if a pet were to find a trap or poison, or the mess you’ll be left with if these methods “work” and you end up finding rodent remains later on (which can still transmit disease). Preventing and repelling mice is easier than luring them in to kill them. Start off by cleaning up the area you are concerned about. Make sure no food or water sources are readily available. Store animal feed and seeds in airtight containers. Repair any leaky pipes or dripping faucets. Next, inspect the area for possible entry points. Pay special attention to doors, windows, and openings where cords, cables, or pipes come in through the wall. Seal any openings you find with steel wool and silicone caulk. Finally, remember that rodents have a highly developed sense of smell. Their ‘super senses’ help them find food and shelter, but that can also be used against them. A natural fragrance, like the essential oils used in Stay Away® Mice, can overwhelm their sensitive noses and will make them avoid the area. Getting rid of mice has never been easier! Hi .we have a home rat how can i control them. Do you know what the rats are attracted to or how they’re getting in? If you can find out where they are coming from, block the entryway with steel wool or hardware cloth. If you see that they are getting into something like an uncovered trash can or pet food, you can use an air tight container to seal up whatever it is that they like. Then use Fresh Cab to create an scent barrier rats won’t cross. Thanks for reading! The field mouse is where our story began. When this tiny brown mouse scurried over our CEO’s leg, he inspired an idea that has changed the pest control industry. Kari Warberg Block knew there had to be a safer way to get rid of mice than the traps or poisons that were old standbys. When she couldn’t find what she needed, she invented it. These little rodents have light brown fur on their backs and white legs, feet and undersides. They are most active around dusk and dawn and favor eating seeds. They'll also eat other things like fruit, fungus, and insects. Field mice have a habit of creating caches, or stores of food, particularly during the fall months when tree seeds and nuts are abundant. Bird feeders and garden seeds also serve as a reliable food source for mice, drawing them right into your own backyard. Mice seek shelter during unfavorable weather, like the cold winter months that are right around the corner. 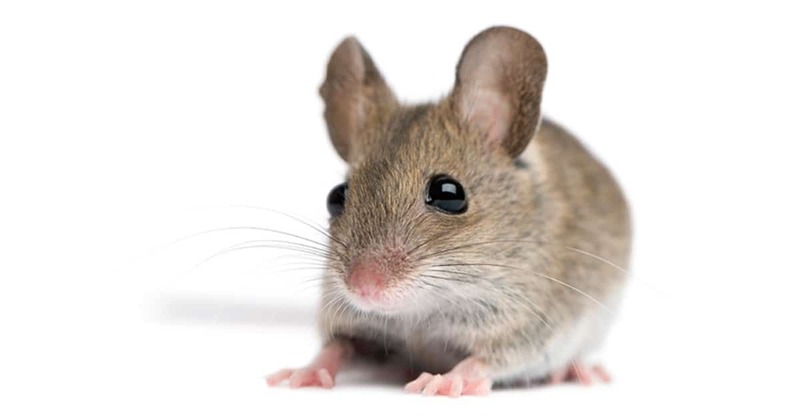 If field mice find their way into your home, they will often nest in an undisturbed area like the attic -- making them hard to detect until they’ve already done extensive damage. You might wonder, how a little mouse could be such a problem. After all, the field mouse (or the “deer mouse” as he’s often referred to in scientific literature) is only about 4 inches long, and weighs less than one ounce. 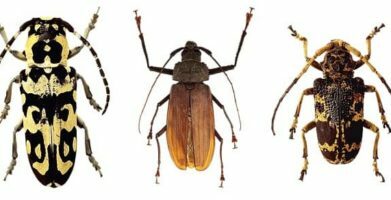 But in places where these little pests are present -- primarily homes and buildings near fields and in rural areas -- they can infiltrate almost anywhere they like. Their small size makes it easy for them to squeeze through the tiniest of openings. Compared to their small size, their big ears and big eyes are almost kind of cute, but you definitely don’t want these mice spreading their germs around your stomping grounds! Because they prefer places you may not visit frequently -- like stored farm equipment or summer cabins left empty during cold weather months -- methods of mouse control like traps or poison can be ineffective. 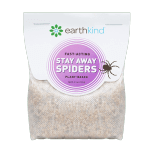 These products work by attracting mice to them, and that is the exact opposite of what you want if you’re trying to get rid of mice. Not to mention the risks of accidental poisoning if a pet were to find a trap or poison, or the mess you’ll be left with if these methods “work” and you end up finding rodent remains later on (which can still transmit disease). Preventing and repelling mice is easier than luring them in to kill them. Start off by cleaning up the area you are concerned about. Make sure no food or water sources are readily available. 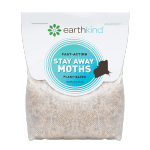 Store animal feed and seeds in airtight containers. Repair any leaky pipes or dripping faucets. Next, inspect the area for possible entry points. Pay special attention to doors, windows, and openings where cords, cables, or pipes come in through the wall. Seal any openings you find with steel wool and silicone caulk. Finally, remember that rodents have a highly developed sense of smell. Their 'super senses' help them find food and shelter, but that can also be used against them. A natural fragrance, like the essential oils used in Stay Away® Mice, can overwhelm their sensitive noses and will make them avoid the area. Getting rid of mice has never been easier! string(70) "Pest of the Month: The Field Mouse. Making His Way To A Home Near You."